Voice Mail Interface for Hotel PMS - Innsoft, Inc. 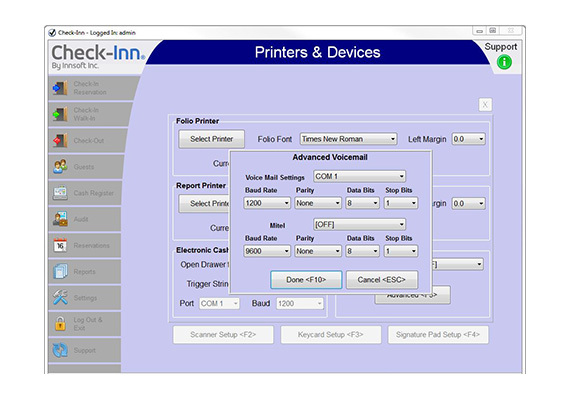 The Voice Mail Interface for the Check-Inn property management system will turn on the guest’s voice mail box when they check-in, and turn it off and clear the box when they check-out. Voice Mail systems that the hotel software interfaces with include: DuVoice, Active Voice, Innovation, Centigram, and Criterion. All pricing information is found on our Pricing page.